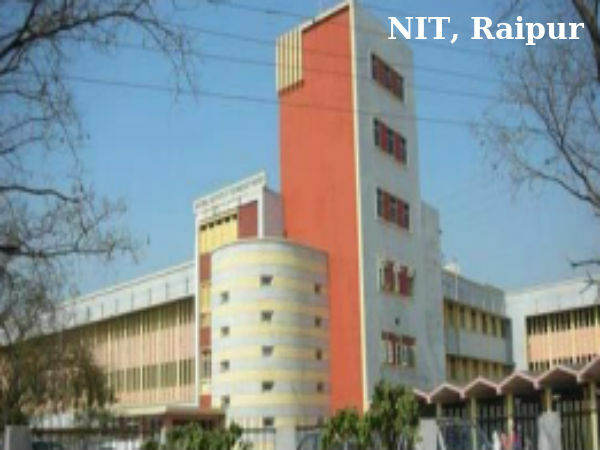 National Institute of Technology (NIT), Raipur has invited applications for admission into full time regular/ sponsored/ self financed/ part time Doctor of Philosophy (Ph.D) programmes. The programmes are offered in Department of Applied Geology, Bio Medical, Bio-Technology, Chemical Engineering, Chemistry, Civil Engineering, Computer Application (MCA), Computer Science & Engineering, Electrical Engineering, Humanities & Social Sciences, Information Technology, Mechanical Engineering, Metallurgical Engineering, Mining Engineering & Physics for the session 2015. The filled applications along with Demand Draft drawn in favour of "Director, NIT Raipur" payable at Raipur should be sent to the following address "The Registrar, NIT Raipur, CG 492010"
Last date for submission of application forms: April 20, 2015.